Television series come and go and for any number of reasons. Yet, there have been many, especially in the science fiction genre that have been over-looked or canceled too soon. Some simply just don't work, and some get ignored because they're on in a very competitive time slot. For whatever reason somethings get canceled before they should, and there are just as many television series that probably shouldn't have ever been given the green light either. 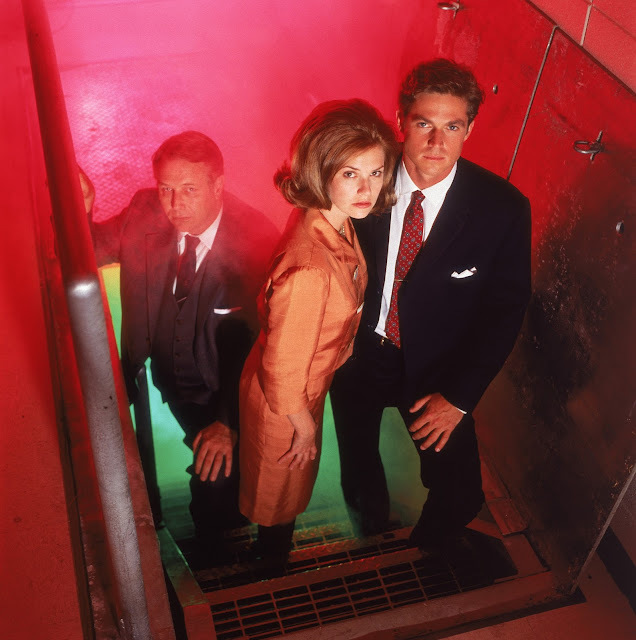 What follows is our list of science fiction shows that for some reason only ran for just one or two seasons before they were unjustly canceled. Produced by Mr. Evil Dead himself Sam Raimi, M.A.N.T.I.S. 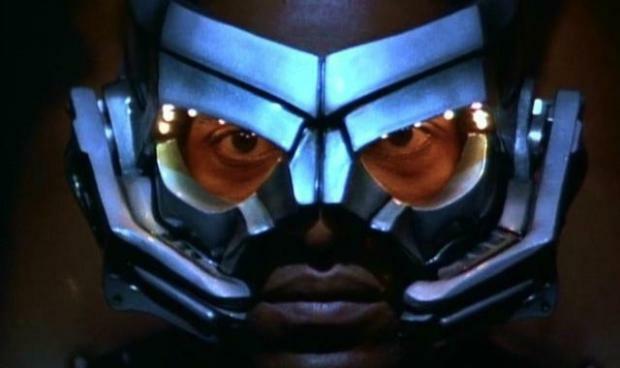 which stood for: Mechanically Augmented Neuro Transmitter Interception System, and it featured actor Carl Lumbly strapping on the suit in the role of the futurist superhero, after his character, Dr. Hawkins is shot in the spine during a riot. Director Sam Raimi co-developed the 2 hour pilot episode of M.A.N.T.I.S. for the Fox Network with Sam Hamm, well-known screenwriter responsible for co-writing Tim Burton's 1989 Batman and its sequel Batman Returns (1992) with Michael Keaton. M.A.N.T.I.S served the public as a sort of vigilante fighting crime in the city, in many ways, quite similar to Batman!? Ultimately, while the show did garner a modest cult following, the show was canceled just after one season due to poor rating and a bad time slot during the week. In addition, the complexities of the highly-detailed and rich story lines of the series possibly alienated some viewers as well. A first ever on television, and likely, it was because of the show's daring innovation that allowed it to only run just 22 episodes. Captain Power aka Captain Power and the Soldiers of the Future was a short-lived Canadian-American co-production which aired on the Fox network in the mid/late 80's and what made the show innovation was its mixing of live action film and animation together. The show was created by director Gary Goddard, who is best known for his innovation work designing amusement park rides as well as directing the late 80's Cannon Films film version of He-Man and the Masters of the Universe with actor Dolph Lundgren. What made Captain Power so fun for kids who watched it was that it added in interactive segments that could be used with the toy line produced in conjunction with Mattel. 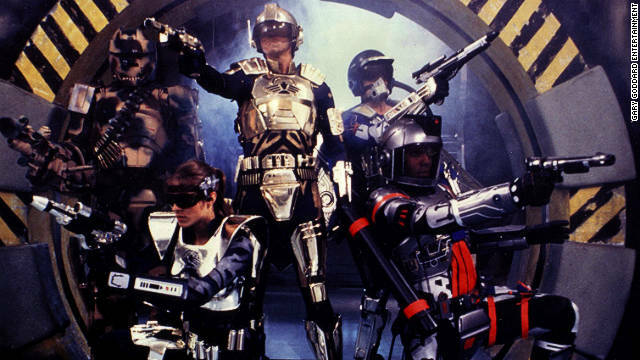 Kids could purchase Captain Power spaceships and figures as well as wearable vests and helmets that allowed you to shoot your space ships at the television screen and the television could also shoot back at the home viewer triggering an alarm to go off on said kid's Captain Power wearable vest and helmet. Only running for 18 episodes on NBC and then re-aired on NBC-owned Sci-Fi Channel, Dark Skies, was the networks response to the huge success that Fox saw with The X-Files series. But what made Dark Skies so unique wasn't the idea of another UFO conspiracy theory type of show, but that it was a variable mix of The X-Files and Forrest Gump (1994). Dark Skies, featured a young agent, played by Eric Close (ABC's Nashville) caught up in a secret government organization who is set to keep the secret of UFO's in the United States. On discovering some corruption in the under-belly of the secret organization, Close sets out to reveal this conspiracy to the Kennedy's in office. Other Forrest Gump-y elements in the show feature an episode early in the series which takes place backstage at the appearance of The Beatles on the Ed Sullivan Show. Well-written and featuring a great cast of actors, including J.T. Walsh, as a mock-Cigarette Smoking Man behind-the-scenes pulling the strings of all, Dark Skies' only flaw would be its of the time, yet, instantly dated special effects. 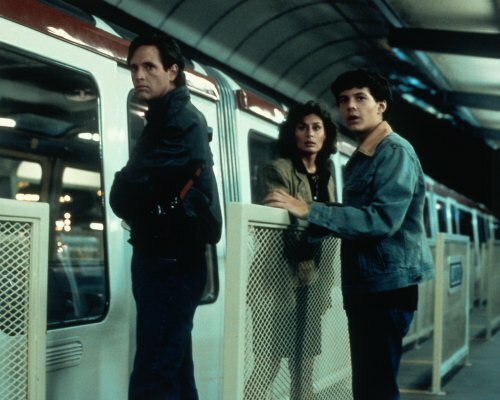 Spinning off of the super success of John Carpenter's 1984 movie of the same name starring Jeff Bridges and Karen Allen, ABC's Starman ran for just 8 months actor Robert Hays in the Bridges role from the movie. While the television series was certainly a spin-off of the Carpenter film, the actual series setting was to be fifteen years after the film's story was over with, and featured the Bridges alien returning, but in the body of photojournalist. Like the movie, each episode of Starman: The Series featured a chase between the government agency and the Starman. Replacing the Karen Allen character from the Carpenter movie, was the photojournalist's son, who was played by Christopher Daniel Barnes aka C.B. Barnes. While many are familiar with the Planet of the Apes films that have come out since Tim Burton's remake with Mark Wahlberg in 2001, many aren't aware that in addition to the 5 Apes films that were made in the late 1960's and all throughout the early '70s, two television series were created as well. 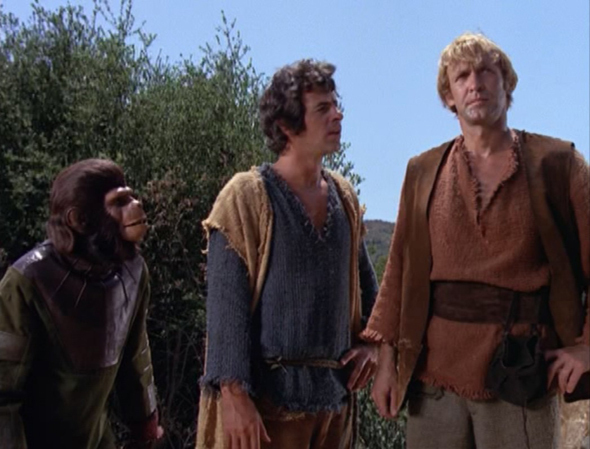 Airing on CBS, Planet of the Apes: The Series featured actor Roddy McDowell donning the ape make-up yet again and also featured actors Ron Harper and James Naughton. The show would only run for 14 episodes and a year later, NBC and 20th Century Fox would try to bring the franchise back by producing an animated-cartoon series called Return to the Planet of the Apes. Honorable Mentions: Jason of Star Command, The Starlost, Streethawk, The Invisible Man, Isis, Ark II, Future Cop, Man From Atlantis, Space Academy, Quark, Project UFO, Space Rangers, and The Lone Gunmen.